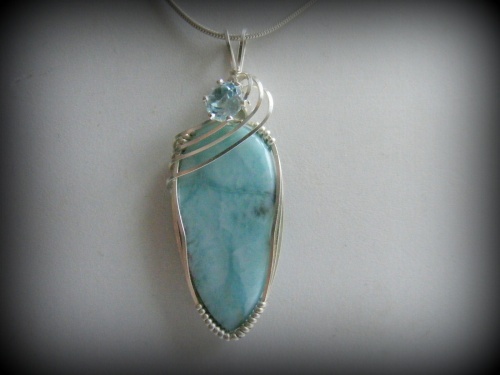 This beauty of a gemstone is Larimar accented with a topaz faceted stone. The color is similar to the color of the ocean in tropical areas. It is said to promote wisdom. The piece is sculpted in .925 sterling silver. 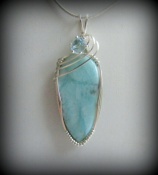 Measures 2" from the top of the bail to the bottom of the pendant and 3/4" across at its widest part. Comes with a sterling silver snake chain.